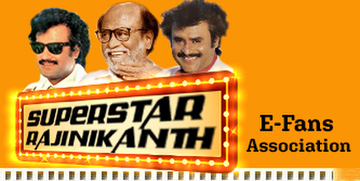 Superstar Rajinikanth not only has a massive fan following but he has always garnered love wherever he has stepped foot. Many down South worship the actor and fans have showered him with admiration, respect and even gifts. But when he visited Bengal, which is quite away from his hometown, he found aficionados there too! For the uninitiated, Rajinikanth has been visiting the hilly terrains of Kurseong and such picturesque locales for his next. Amidst all of this, he found a villa that was dedicated to him. To be more specific, Rajinikanth has been shooting for his next with Karthik Subbaraj. The megastar had flown out of Chennai even before his last release Kaala hit the theatres. Now, while the actor is almost on the verge of completing his shoot, he didn’t expect this special surprise coming his way. Rajinikanth, who stayed in Kurseong for 10 days during the shoot, seem to have found admirers in the staff from the resort he stayed in. The resort authorities were so impressed with the megastar that they decided to dedicate an entire villa to his name. We got hold of the picture of the staff presenting the special dedication. The villa is named Rajinikanth Villa #3. Not surprisingly, these images have gone viral on social media. Not just that, as a part of the remembrance of Rajinikanth’s stay, the authorities have also painted one of the trees of their hotel. On the other hand, speaking on the film, Karthik Subbaraj has expressed his excitement of shooting with a superstar like Rajinikanth. The untitled film, according to him, will be a quintessential Rajini movie and will also feature Filmfare award winner Vijay Sethupati. The team has taken off to Dehradun a day ago and it seems that the film will require two months to be completed.